Home » Hiking Tips » Hiking Gear Guide » Hiking Accessories Guide – Which accessories to bring on a hiking trip? Hiking Accessories Guide – Which accessories to bring on a hiking trip? On hiking trips you can use various accessories for increasing your performance and comfort. 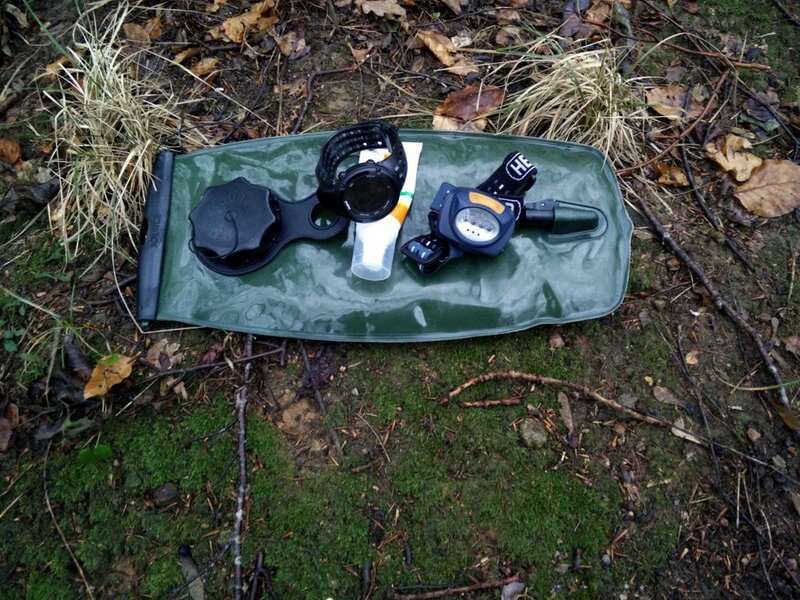 However, not every gadget is useful for every hiker. 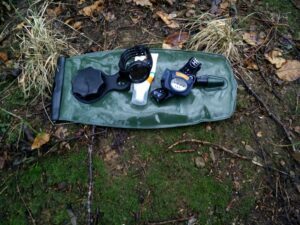 In this hiking accessories guide we explain the function of different hiking accessories as well as how to properly use them on the trails. This guide includes the eight most frequently used hiking accessories; trekking poles, compasses, GPS devices, watches, headlamps, hydration systems, sunglasses and sun creams. Throughout the article you will also find links to other articles with additional information to complement the overview that this hiking accessories guide should provide. Trekking poles significantly reduce the strain on your legs and thus increase your endurance and performance. Furthermore, they enhance your balance, traction (due to the additional two points of surface contact) and allow you to easily probe the terrain ahead of you (you can for example check how deep the snow is). Therefore, they are especially useful for hiking on slippery trails, hiking trips that involve a lot of ascent /descent and long hiking trips. However, as modern trekking poles are very light and pack quite small it is recommended to use them on all hiking trips. Trekking poles differ by materials and packing systems. Trekking poles’ shafts are made either of aluminum or carbon fiber. Aluminum shafts are very robust and they typically don’t break even if you apply a lot of force to them; they bend instead. Aluminum trekking poles are usually less expensive than carbon fiber trekking poles. However, they are also heavier. Carbon fiber shafts are much lighter than aluminum shafts but on the other hand they are also less robust; when exposed to major force they don’t bend, but break. Grips are usually made of EVA (ethylene-vinyl acetate) foam or cork. Both materials are comfortable to touch even at low temperatures (unlike the hiking pole shaft). However, they do have some differences. EVA foam grips are heavier than cork grips but on the other hand they also provide better comfort as the foam doesn’t transmit vibrations as much as cork. Cork grips are lighter than EVA grips but on the other hand they transmit vibrations a lot more. Cork grips are often used for super lightweight trekking poles. 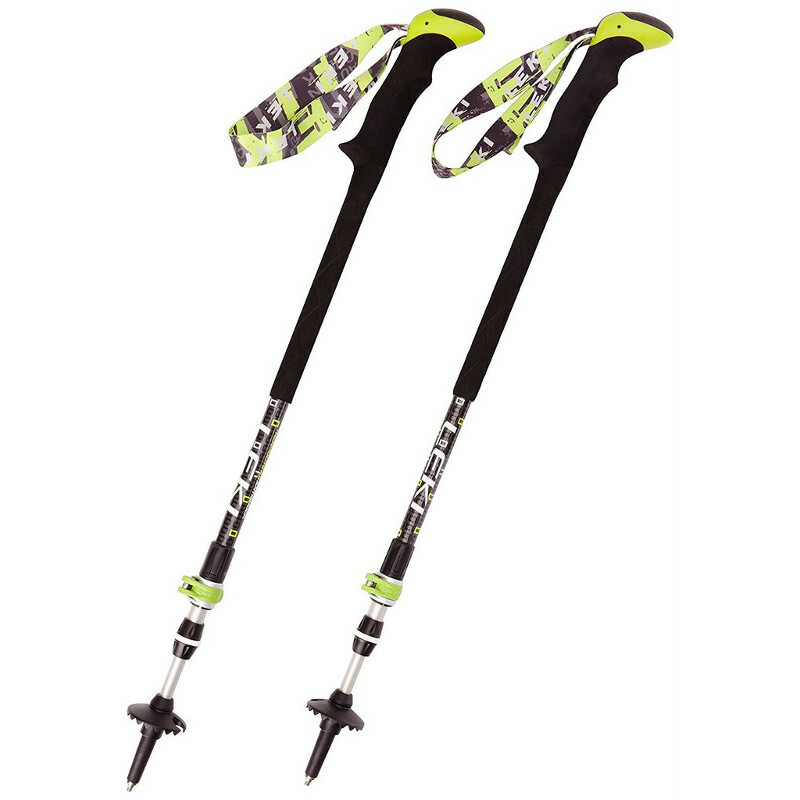 Trekking poles are collapsible, foldable or foldable + collapsible. Collapsible poles are adjustable in length and can thus be shared with family and friends. For length adjustment they use either a lever lock mechanism (such as Leki’s Speed Lock) or twist lock mechanism (you twist the lower sections of the pole until they are secured). The latter is less user-friendly – it’s hard to extend or collapse the pole with gloves on and it can freeze in winter. The downside of collapsible poles is that they usually don’t pack as small as the other types of hiking poles. Nevertheless, they are typically also less expensive. Foldable poles use a design similar to tent poles – they consist of several sections (typically three) which are connected with an internal cord (made of Kevlar). These poles pack really small and are usually very light (if made of carbon). However, they are not adjustable in length. Foldable + collapsible poles combine the two above mentioned designs – they fold like tent poles but can also be adjusted in length (below the grip the pole extends ). The length can’t be adjusted as much as at collapsible poles but enough for adjusting to hiking uphill or downhill (note that your elbow should always be in a 90-degree angle when holding a trekking pole). These trekking poles usually pack as small as foldable poles. A compass is the most reliable navigation tool as it, unlike electronic substitutes, doesn’t require batteries or GPS/GLONASS signal. Therefore, it should accompany you on every hiking trip in unfamiliar areas (even if the trail is well marked and you have a GPS device of some sort with you). A compass shows the cardinal directions and can be used for measuring azimuths. However, keep in mind that you need to have some basic navigation skills in order to efficiently use a compass as well as a topographic map of the area you’ll be hiking in. 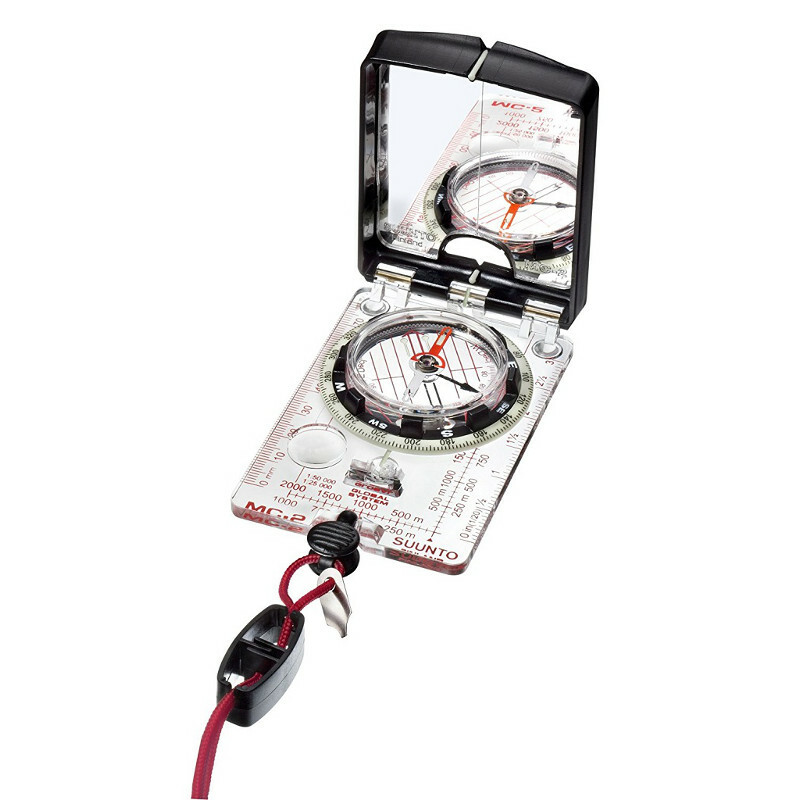 Compasses differ by features – for example some merely show cardinal directions while others are equipped with clinometers, sighting mirrors, magnifying lenses etc. Before buying a compass consider how much you would actually use a certain feature – not everybody needs every single feature. Nevertheless, we do recommend buying a compass with a rotating bezel as otherwise it is impossible to measure azimuths accurately. Declination (difference between true north and magnetic north) varies from location to location and thus it’s important that it can be adjusted on the compass. Many compasses feature a declination screw which allows you to easily adjust the declination. With a ruler you can easily measure map distances. A sighting mirror is very useful for measuring azimuths – it reflects the dial and thus you don’t have to move the compass to waist-level to read the measurements. Furthermore it can be also used for emergency signaling. A magnifying lens comes in handy for reading (small) symbols on a map. A clinometer allows you to measure slope angles and thus assess avalanche hazards. If you are often hiking after sunset, luminescent indicators come in handy as they allow you to easily read the dial when the visibility is low. Not every compass works everywhere in the world – there are five different zones and each compass is zone-specific. However, Suunto has developed the global needle and thus compasses equipped with it work in all zones. Furthermore, these compasses also handle tilting – they don’t have to be completely leveled for precise measurements. Some GPS devices come with rechargeable batteries while others use disposable batteries. If you are buying a GPS device which comes with rechargeable batteries (battery pack) check that it also works with standard AA batteries – on long hiking trips it’s often hard to get access to electricity for recharging the batteries. Nevertheless, you can also use a power bank but these tend to be heavy and have limited capacity. We can divide GPS devices in two groups by their displays; touchscreen GPS devices and non-touchscreen GPS devices. GPS devices with touchscreens allow you to quickly insert waypoints, zoom in/out the map etc. However, they have one big shortcoming; they can’t be used with gloves on. Therefore, for hiking in cold weather non-touchscreen GPS devices are recommended. Non-touchscreen GPS devices typically also offer better durability. Some devices support only GPS while others also support GLONASS – an alternative to the GPS. Positioning requires a signal from at least four satellites and it takes less time to fix your position with devices that support both systems (they can receive signal from 24 satellites more). Furthermore, they are also more likely to fix your position in narrow valleys, dense woods etc. 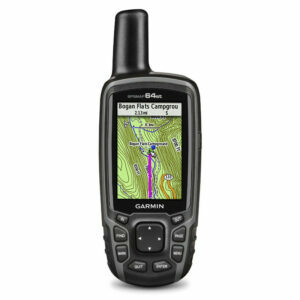 Some GPS devices are equipped with electronic compasses which don’t require GPS/GLONASS signal to work. 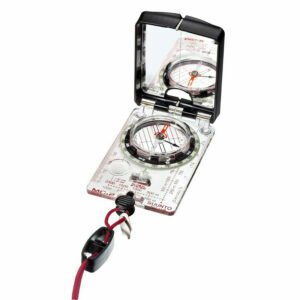 These compasses are very useful for navigation in case that the GPS/GLONASS signal is not available. Like, the electronic compass, the barometric altimeter also works without GPS/GLONASS signal. It comes in handy for navigation – it is much easier to find you location on the map when you know how high above the sea level you are. A good watch is a very powerful gadget as it provides you with information such as altitude, atmospheric pressure, temperature, sunrise/sunset times, heart rate etc. Some hiking watches are also equipped with built-in GPS receivers. 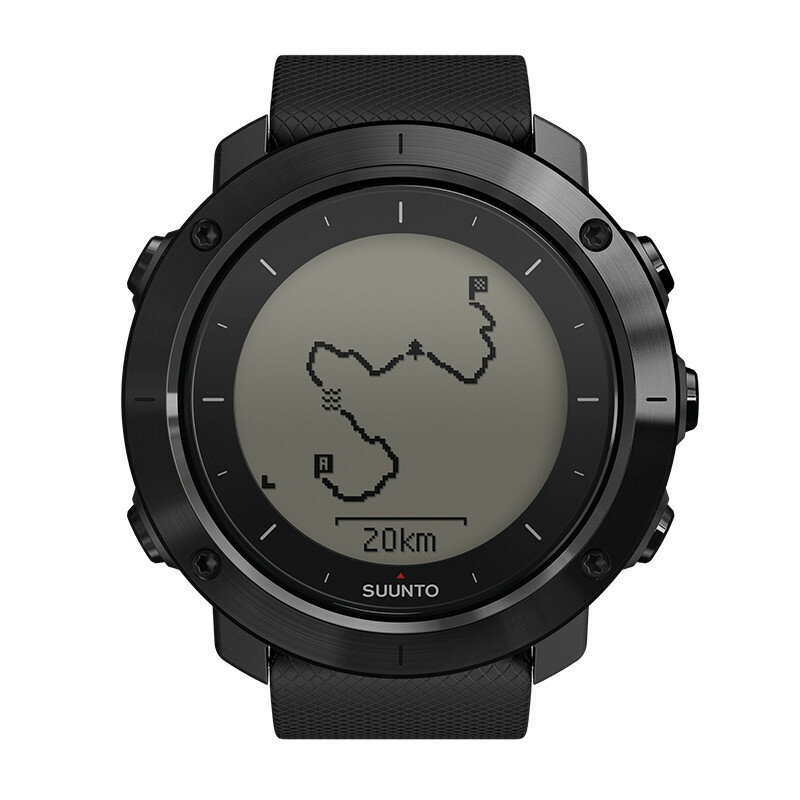 Such watches are very useful for navigation – you can set waypoints or create routes and the watch will provide you with directions. However, keep in mind that GPS watches, like handheld GPS devices, are also limited by battery life and GPS/GLONASS signal. Furthermore, watches also don’t show a map as such – they merely show your location in relation to the waypoint/route. Nevertheless, due to their small size and weight they come in extremely handy for navigation. Hiking watches differ by features. GPS watches have a built-in GPS receiver (some support GLONASS as well) and thus they offer navigation as well as show GPS-based information such as current speed, distance, ascent, descent etc. Furthermore, they also track (record) your hikes so that you can review them later on your computer or Smartphone – you can see the route of your hike drawn on a proper map as well as total distance, duration, calorie consumption etc. However, GPS watches have one downside in comparison to non-GPS watches; they come with (non-replaceable) rechargeable batteries and thus they require regular access to electricity (power bank or solar charger can be used); with GPS enabled they typically work for up to 20 hours while the battery life is up to six weeks with disabled GPS. The heart rate monitor feature is very useful because it allows you to maintain a steady pace throughout the hike. Many watches are equipped with electronic compasses which come in handy for navigation. A barometer is a very useful feature because it allows you to easily predict the weather. If the atmospheric pressure is increasing, the weather will improve, reversely if the atmospheric pressure is falling, the weather will become worse (cloudy, rainy etc.). The altimeter feature helps you with the navigation – it’s easier to find your current location on the map if you know how high above sea level you are. A thermometer allows you to measure the temperature of air or water. It comes in handy in various situations. Headlamps are very useful because they, unlike flashlights, allow you to use your hands freely for other things (reading the map, getting things out of the backpack etc.) while you are illuminating the surroundings. Headlamps differ by features – some merely have an on/off button while others feature different modes, adaptive lighting, battery level indicators etc. Before buying a headlamp consider how much you would actually use a certain feature –if you for example mainly use a headlamp for around-the-camp activities you don’t need many advanced features which can significantly increase the price. Nevertheless, we do recommend buying a headlamp with replaceable batteries and a button lock feature. Some headlamps use disposable batteries while others come with rechargeable batteries. If you are buying a headlamp that uses rechargeable batteries, check that it also works with disposable batteries – on long hiking trips it’s easier to carry additional batteries with you than a (heavy) power bank or a solar charger. Headlamps for hiking in cold conditions typically have a detachable battery compartment so that you can store the batteries in your jacket’s pocket where they stay warm. This increases the battery life and reduces the weight carried on the head. The button lock feature is also very useful because it prevents the headlamp from accidentally turning on while you are not using it. 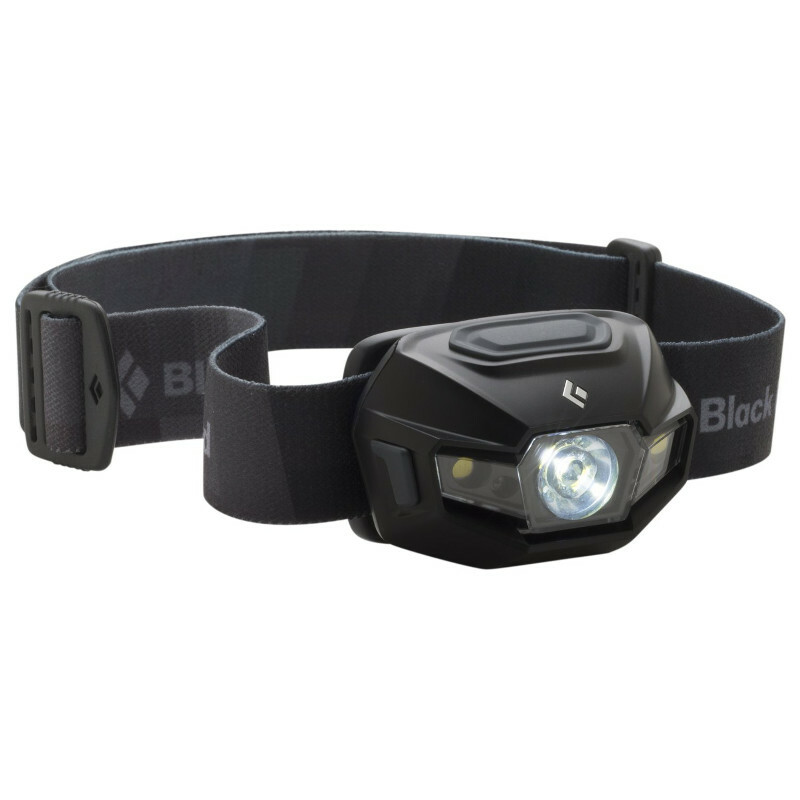 When a headlamp is running low on battery, the brightness and beam distance normally decrease. However, some high-quality headlamps use different technologies (like for example Petzl’s Constant Lighting technology) to provide stable brightness until the battery is completely emptied. Headlamps usually have several modes such as proximity, distance, strobe etc. These modes come in handy for prolonging the battery life; for example if you don’t need superb brightness you select the proximity mode in which the headlamp has a much longer battery life than in (brighter) distance mode. Some high-quality headlamps automatically adjust the brightness and beam distance (for example headlamps that use Petzl’s Reactive Lightning technology) – in a narrow groove the headlamp will have a short beam distance while on an open field the headlamp will have a long beam distance. Such headlamps are especially useful for those who often do technically demanding hikes (scrambling, via ferrata). Headlamps differ by beam distance (measured in meters) and brightness (measured in lumens). The two numbers are not necessarily correlated – a headlamp with higher brightness can have a shorter beam distance. If you often hike after nightfall, a long beam distance comes in handy as it allows you to see the trail ahead. A hydration system provides easy access to water – you don’t have to take water bottles out of your backpack and you have your hands free when drinking. Therefore, it allows you to hydrate without stopping even if the trail is technically challenging or you are using poles. However, hydration systems also have a downside; they are hard to use when the temperatures drop below 0 C as the water freezes (especially in the narrow tube). 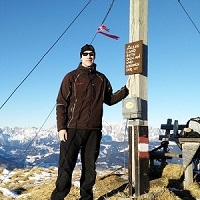 Therefore, hydration systems are not the best option for hiking in very cold conditions. Nevertheless, they come in very handy in warm weather. 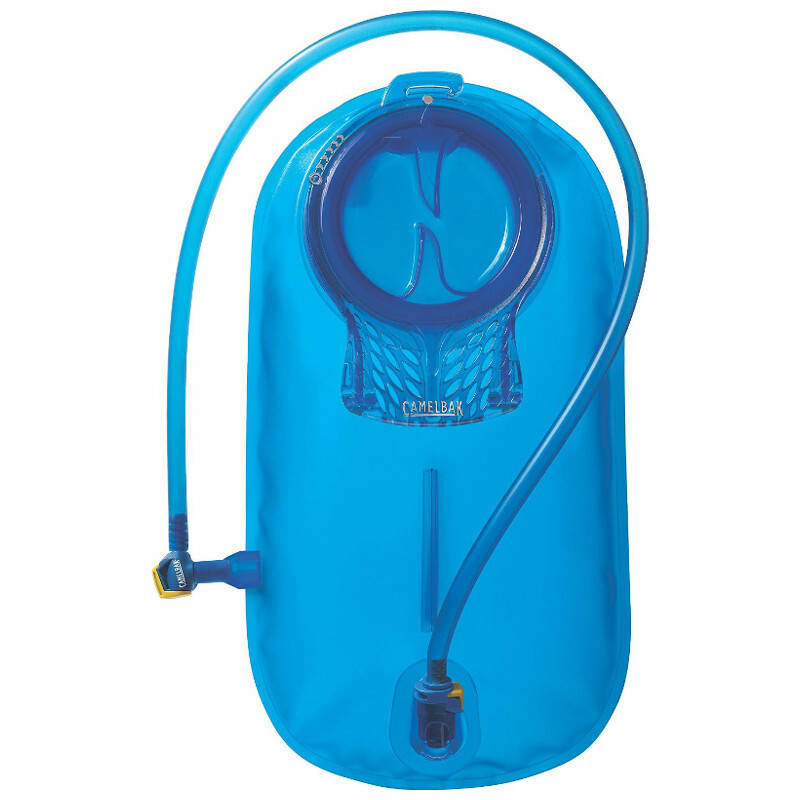 A hydration system consists of a water reservoir, tube and a mouthpiece. Hydration systems differ by closure type, mouthpiece type and available accessories. A water reservoir uses either a snap cap closure or wide slide closure at the top. Both systems provide good functionality (if they are well constructed). Water reservoirs with snap cap closures require that you unscrew the closure for refilling. If you are buying this type of water reservoir, check that the opening is wide enough to put your hand inside for easy cleaning. The closure should also tighten quickly – CamelBak’s closures for example tighten in just ¼ turn. Water reservoirs with wide slide closures have a removable seal at the top – you pull the seal off and the water reservoir opens. Such water reservoirs typically allow easy cleaning and refilling. Hydration systems use either bite valves or push/pull valves. By applying pressure on the mouthpiece (with teeth) the valve opens and the water flows. Bite valves are easier to use than push/pull valves but also get worn out slightly faster due to the abrasion from teeth. A push/pull valve requires that you open/close it with hands or teeth. These valves are very durable but harder to use than bite valves. Some manufacturers offer various accessories for their hydration systems such as flow meters, insulated tubes, water filters etc. Before buying such accessories consider how much you actually need them. Sunglasses protect your eyes from ultraviolet radiation. They are especially important to use if you are hiking at high altitudes (the potency of UV rays increases with altitude) and/or on terrain that is covered with ice/snow (reflection). However, keep in mind that even in cloudy weather UV rays are present and thus your eyes can easily get irritated if you are not wearing sunglasses. 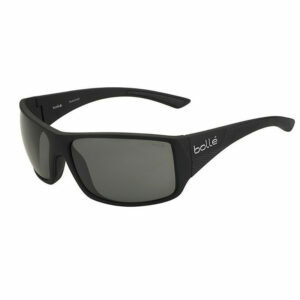 Additionally sunglasses also protect your eyes against wind, dust etc. Sunglasses differ by lenses and shape. Hiking sunglasses should block out 100% of the ultraviolet (UV) light. Such sunglasses are often labeled as “UV400”. The lenses also differ by Visible Light Transmission (VLT) category. There are five different VLT categories; VLT category 0 sunglasses allow more than 50% of the visible light to enter your eyes while VLT category 4 sunglasses block out more than 90% of the visible light. For hiking it is recommended to use category 3 sunglasses – such sunglasses block out from 80% to 90% of the visible light. However, for high altitudes or glacier walking VLT 4 category sunglasses might be required. Sunglasses for hiking should wrap around your face (U shape) to prevent ultraviolet light from entering the eye area from all sides. 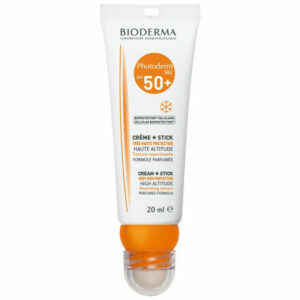 A sun cream protects your skin against sunburns and thus it is very important that you use it rigorously. Keep in mind that sun rays penetrate through the cloud cover and therefore it’s recommended to apply sun cream also in cloudy weather. (Re)applying sun cream is especially important if you are hiking at high altitudes (potency of sun rays increases with altitude) or on terrain that reflects sun rays (snowy and icy trails). A sun cream should provide protection against UVB rays as well as UVA rays. Keep in mind that not every sun cream provides protection against UVA rays. You should use a sun cream with at least SPF30 (blocks all but 1/30≈3,33% of all sunrays). Water-resistant sun creams are preferable as they stay on your skin even if you sweat. Nevertheless, every sun cream should be reapplied every 90 minutes or so.